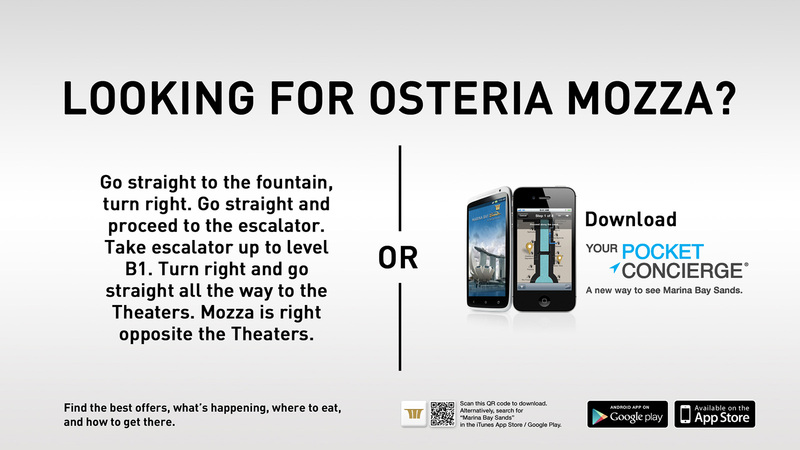 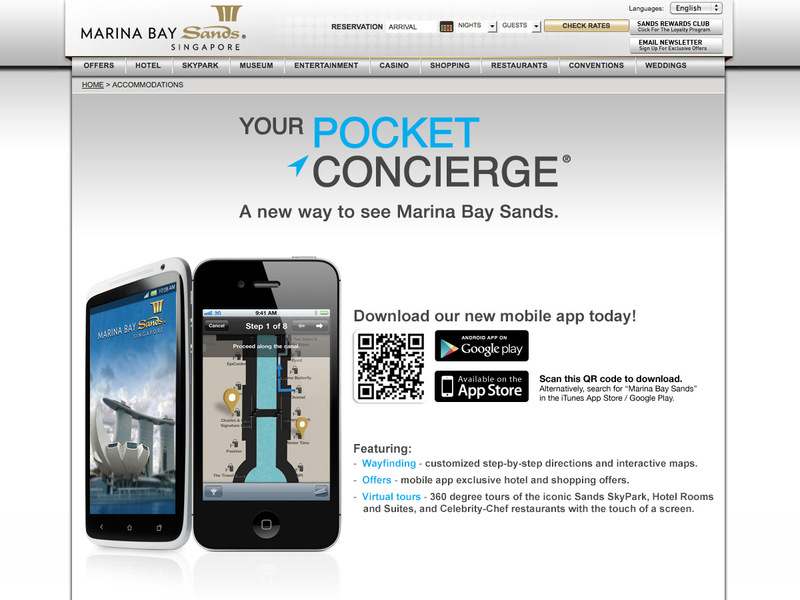 Marina Bay Sands’ first Mobile App. 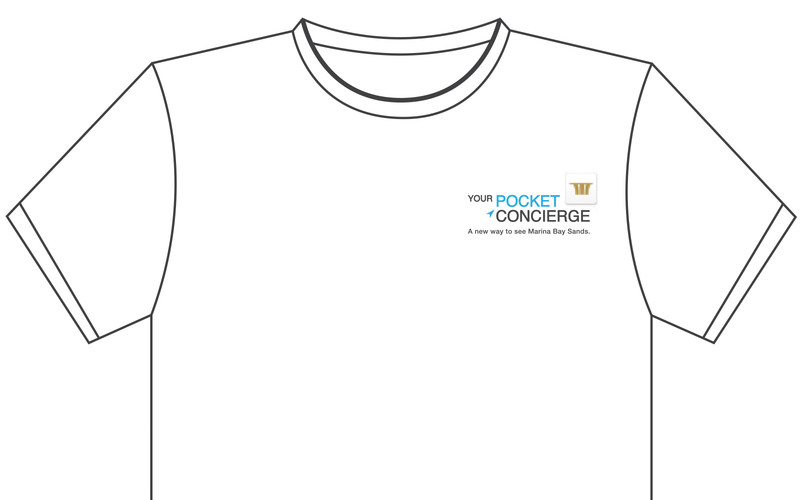 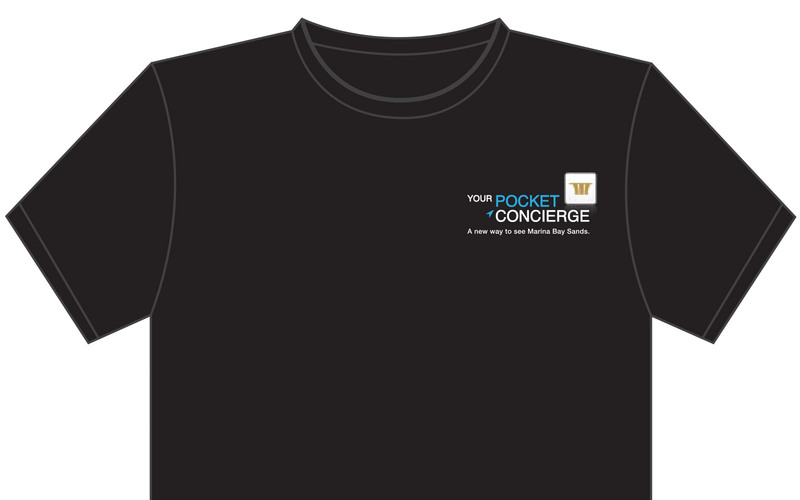 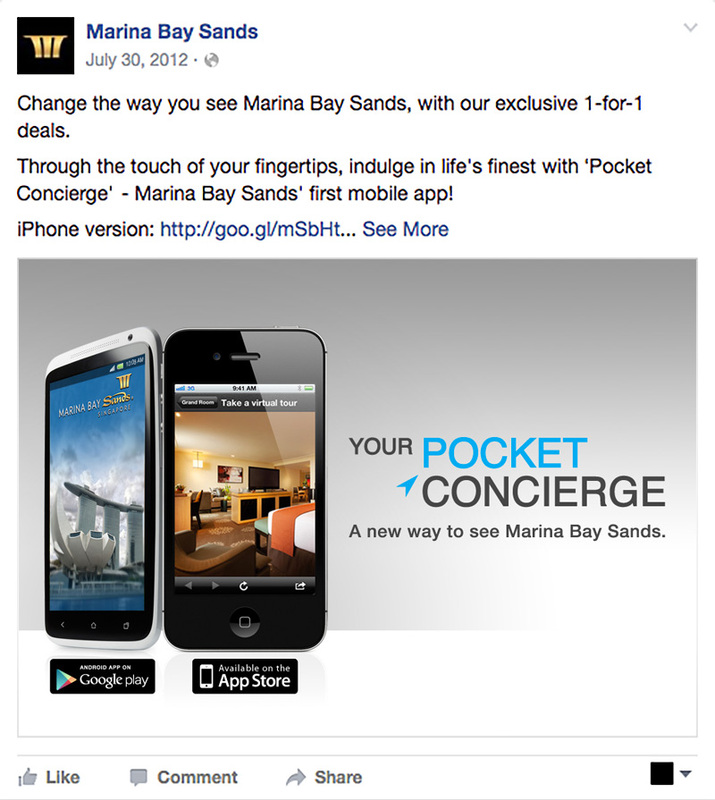 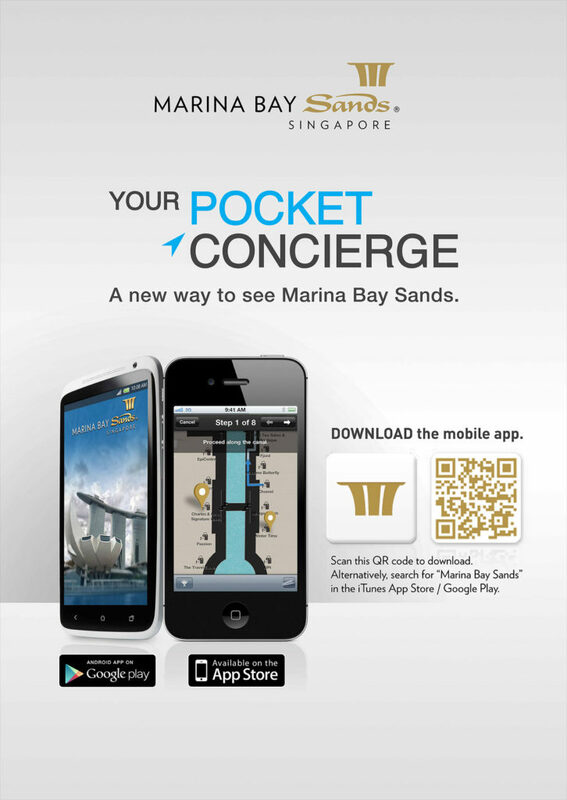 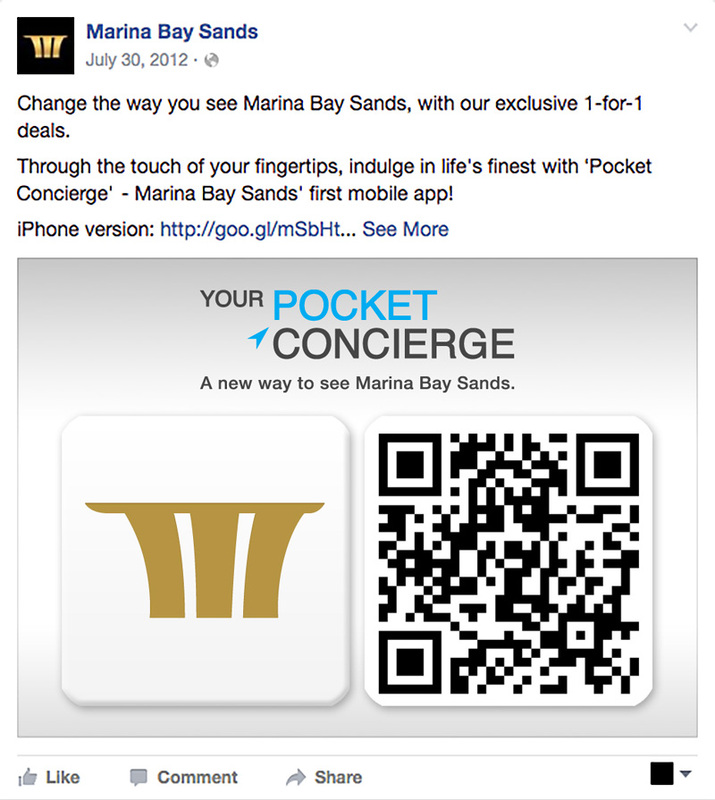 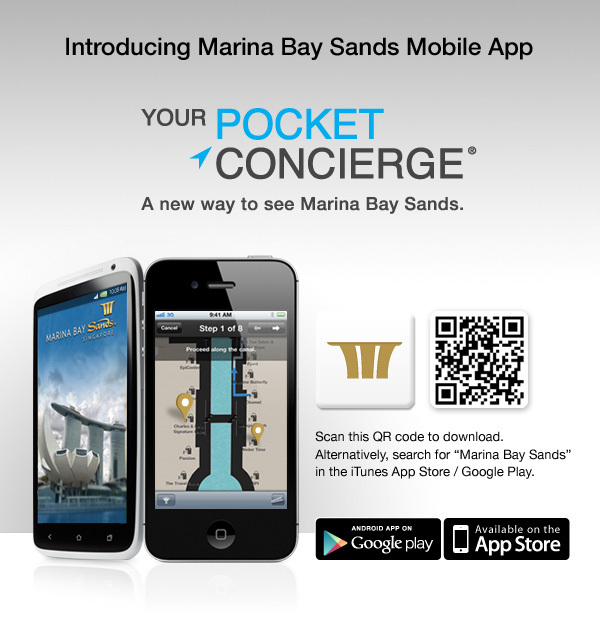 “Your Pocket Concierge” is Marina Bay Sands’ first Mobile App. 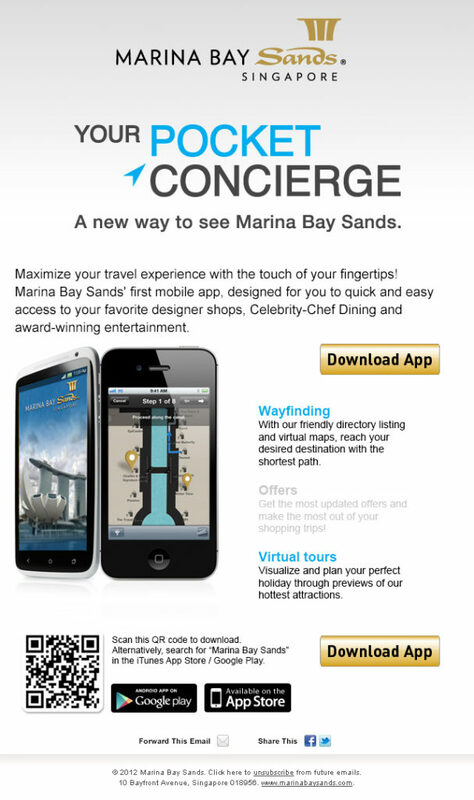 It provides information for Hotel Offers, Retail Shops, Museum Exhibitions, Entertainments, Celebrity Chef Restaurants, and many more. 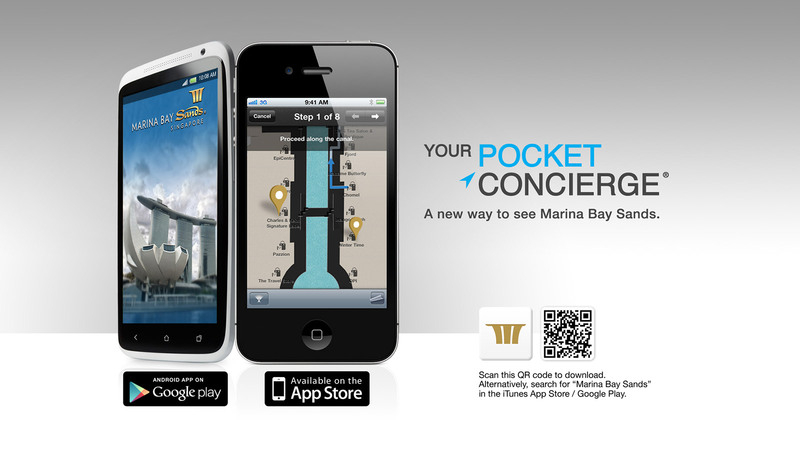 Below are some of special functions.